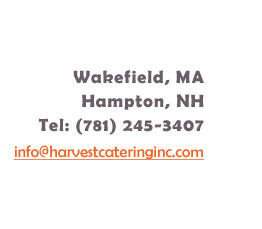 Harvest Catering is based in Wakefield, MA. Owner/Chef Donald Forester entered into his culinary career during the late 60’s in California. From there, his travels and experience have taken him to four-star dining in the Utah Rockies, to upscale hotels in Upstate New York, and through the early days of Boston's Faneuil Hall in 1977. 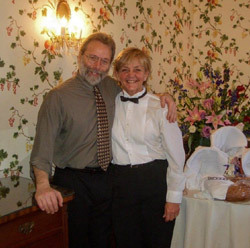 In 1990, Donald took over the mantle of Harvest Catering and has since been helping his guests to realize their own potential for creating an experience beyond their own expectations. Celebrations entail so many decisions, so many concerns. Each event takes on a personality of its own. In essence, your party is unique because of what you as a host bring to it. At Harvest, there is no such thing as a package -- or off the shelf -- or typical. Because none of our clients are typical or packaged or off-the-shelf. 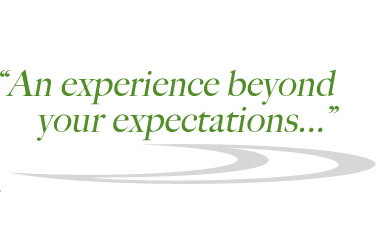 We prefer to think of the service we offer, the experience we enable our clients to enjoy, in terms like unique and personalized and extraordinary. From designing a creative setting, to selecting an interesting location, catering can take on so many different facets. 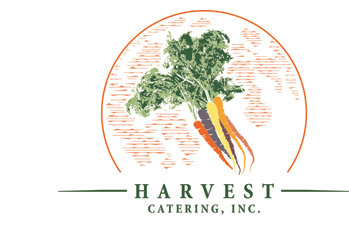 Harvest Catering is able to produce an event that may take place outdoors, in your home or perhaps in a venue which would beautifully enhance your own ideas. Let our event coordinators know if you would like assistance in finding the perfect venue for your party or event and help you customize a unique menu for your special occasion.